To determine whether or not the coffee maker had the capability of producing good coffee we need to evaluate a couple of key factors. Temperature of the water, brew time, and ratio accuracy all contribute heavily to the extraction process. The results of these tests will likely vary between brands and coffee makers, so you may need to dial in the adjustments for your specific coffee maker. If you haven't had a chance to read the tests leading up to this result you can find them here (Part 1, Part 2, Part 3). Up to this point, I've come to a technical conclusion concerning the output of the regular coffee maker, but the real determination of quality comes down to taste. 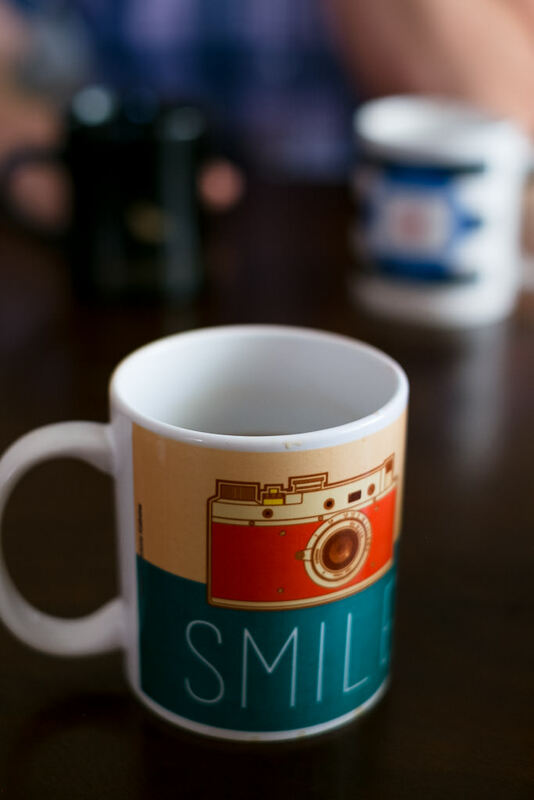 So this week we set out to answer the question, does the coffee taste good? To test this, I brewed two cups of coffee, one using the coffee maker, and the other using the Aeropress standard recipe. To help me evaluate the results, I invited my friend Richie over. Partially, because I wanted a second opinion, but, truthfully, I didn't want to drink all that coffee by myself. Side note: I highly recommend sharing coffee with your friends. Tasting coffee in a group is the easiest way to develop your palate and I'm a firm believer that coffee is meant to be a community drink. This particular coffee maker uses a proprietary mesh filter, my first attempt allowed too many solvents through which resulted in a pretty hefty cup on the palate. The texture and mouthfeel resembled what you would get out of a French press. The thick coffee lacked any nuance and felt like a bitter mass floating across my tongue. As expected, the Aeropress brewed a clean, light-bodied, bright cup with an even extraction. According to Richie, the coffee maker tasted great until it was directly compared to the Aeropress. 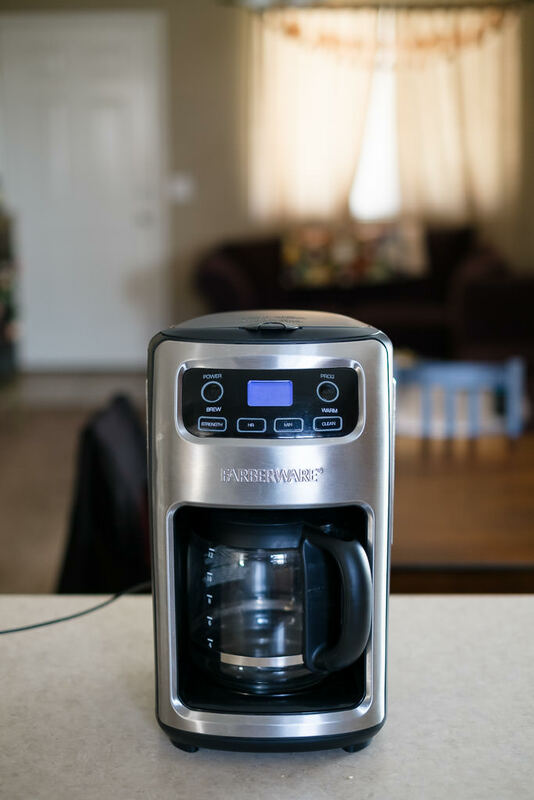 For someone who does care about having good coffee but doesn't want to devote the time to a manual brew, a couple adjustments to the coffee makers is definitely a good alternative. Start by determining how much water is actually making it from the reservoir onto the coffee grounds. Weight out the coffee and the water to the ratio of your preference. If you don't have a scale, I recommend measuring in milliliters, thanks to the metric system it will give you a measurement fairly close to weight in grams. Start by using water that is at least 170° F. You can simply run the water through the coffee maker once before brewing to get it to this temperature. Every couple of months, run a solution of vinegar and water (1 part vinegar to 2 parts water) through your coffee maker to ensure minimal build up of coffee oils and residue. If you don't have a water softener you may want to do it more frequently. In all honesty, this suggestion will make the biggest difference out of all of them. You can ignore all of the previous suggestions, grind fresh coffee right before you brew and you will see a huge leap in flavor quality. And that's it! If you decided to try out any of these suggestions, I'd love to hear what you thought of the results in the comments below!